We will define the distance between two sequences as the number of positions in which the letters at corresponding positions differ. For example, the distance between A G G M C G B L and MG G M C G B L is 1, and the distance between A G G M C G B L and L B M P A F G A is 8. An algorithm for searching this space is a method for choosing which candidate solutions to test at each stage of the search. In most cases the next candidate solution(s) to be tested will depend on the results of testing previous sequences; most useful algorithms assume that there will be some correlation between the quality of "neighboring" candidate solutions—those close in the space. Genetic algorithms assume that high-quality "parent" candidate solutions from different regions in the space can be combined via crossover to, on occasion, produce high-quality "offspring" candidate solutions. 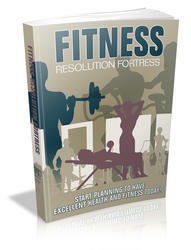 Another important concept is that of "fitness landscape." Originally defined by the biologist Sewell Wright (1931) in the context of population genetics, a fitness landscape is a representation of the space of all possible genotypes along with their fitnesses. Figure 1.1: A simple fitness landscape for l = 2. Here f(00) = 0.7, f(01) = 1.0, f(10) = 0.1, and f(11) = 0.0.
movement away from it goes downward in fitness.) Likewise, in GAs the operators of crossover and mutation can be seen as ways of moving a population around on the landscape defined by the fitness function. The idea of evolution moving populations around in unchanging landscapes is biologically unrealistic for several reasons. For example, an organism cannot be assigned a fitness value independent of the other organisms in its environment; thus, as the population changes, the fitnesses of particular genotypes will change as well. In other words, in the real world the "landscape" cannot be separated from the organisms that inhabit it. In spite of such caveats, the notion of fitness landscape has become central to the study of genetic algorithms, and it will come up in various guises throughout this book.